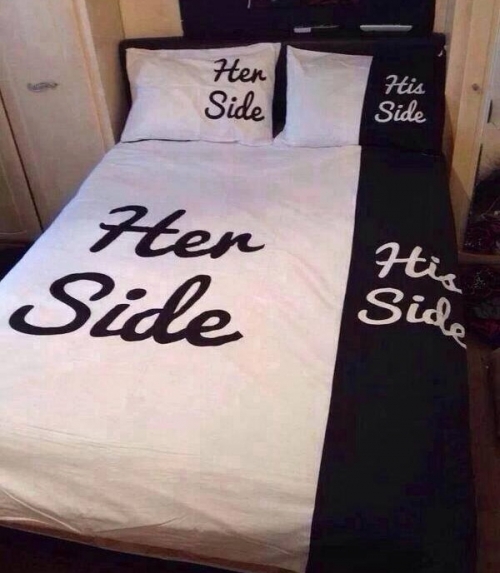 Bring some humor into the bedroom with this novelty “his” and “hers” duvet. This queen sized bed cover is made from 100% cotton and sports a design that divides the bed equally between you and you sweetheart. Just get a kingsize bed.